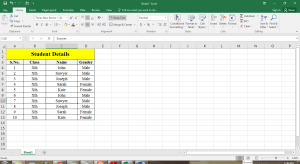 Creating and Opening an Excel Workbook | Tutorials Tree: Learn Photoshop, Excel, Word, Powerpoint and Wordpress for free online. 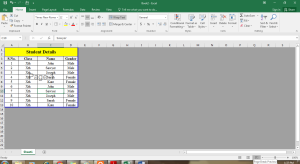 Microsoft Excel 2016 provides us with different view options. 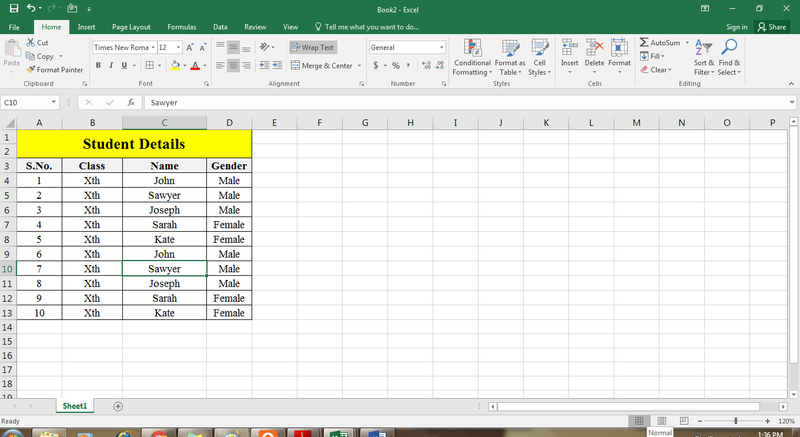 These options will help us in selecting how the workbook is displayed. 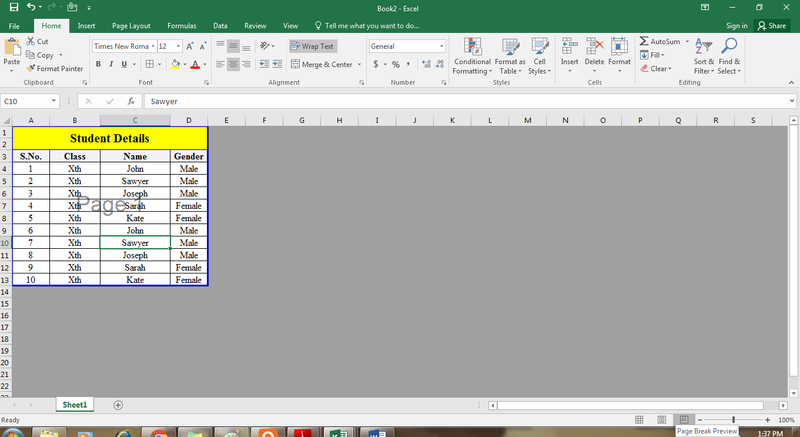 Normal View: This view is the default one in Excel worksheets. 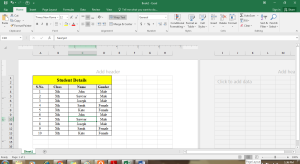 Page Layout View: This view helps in displaying the way your worksheet will appear in a printed form. Header and footer can be added using this view. Page Break View: You can change the page break locations according to your requirement. 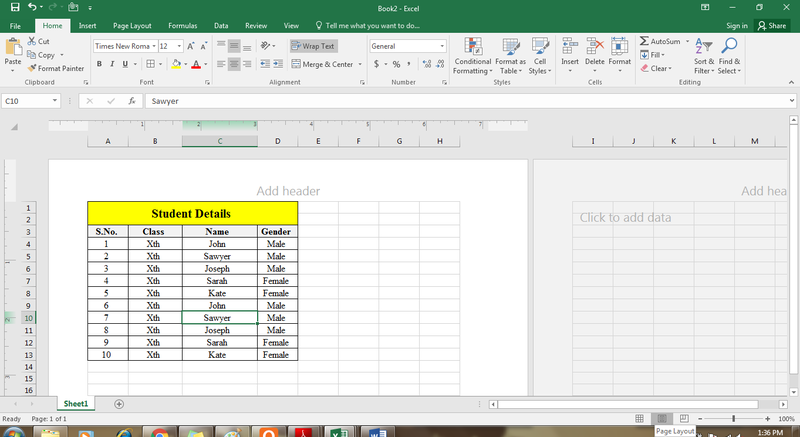 This will ensure that you can print the Excel data properly and in an easier manner. 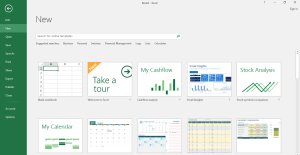 Files in MS Excel 2016 are called as Workbooks. 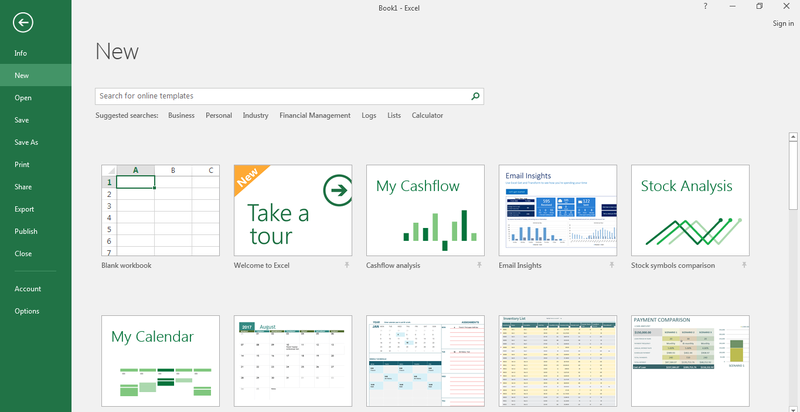 When you start any project in Excel, you will first need to create a new Workbook. 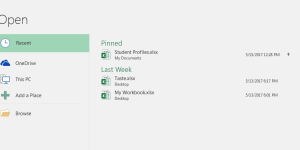 While starting, you get an option to create a new workbook as a blank workbook or you can choose from the templates present. You can also open an existing workbook. Click on New and you will get options to create your workbook. Either you can select a blank workbook or choose from the templates present. You can also enter a keyword for a special template and search for the templates online as well. Once you select, say Blank workbook, you will get a new blank workbook. If you want to open the workbook that exists already or the workbook containing the changes saved by you, you can go to the Backstage view again. Click on File and go to the Backstage view. Select the option Open. 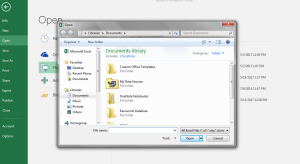 Here you will get different options to select the file you want to open. If you want to open a file from your computer, select This PC and then go to the location. You can also go to Browse. 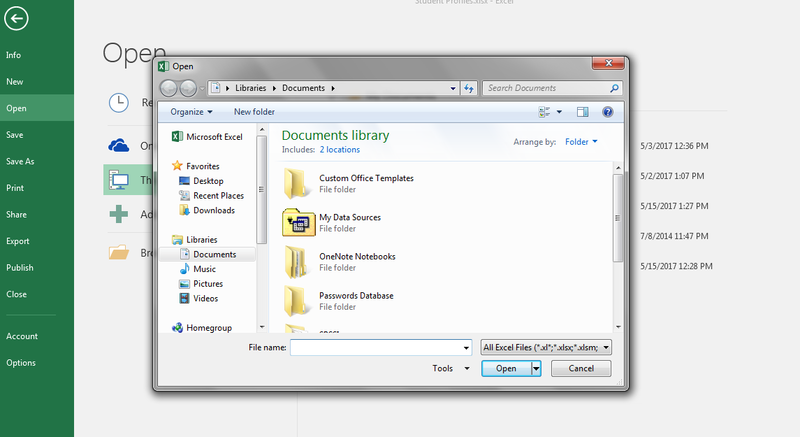 It will open the dialog box where you can look for your workbook and then click on Open. You can go to the Recent option to look for recently opened workbooks. 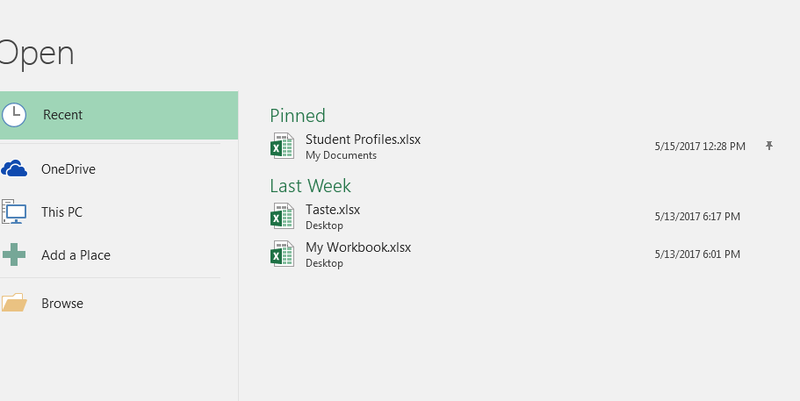 If you work on any workbook frequently, you can pin the file item to the list and this can be accessed easily. It will then appear in the Pinned files.